Personal training, by its very nature, should be personal right? At least you’d think so. But sometimes, one-on-one can be a bit intimidating and you might want to bring a friend along for support. Alternatively, you might have been working out with a personal trainer for a while and you might think they’re so awesome, that you should introduce a mate or colleague to them! Either way, there are some benefits for group personal training sessions that we think you should know about. Sometimes it can be great having someone root for you from the sidelines and other times, you really, really want someone beside you feeling all your pain as you both plank for over a minute. Having a workout buddy take part in your personal training session can be a great way to muster up the courage to do personal training in the first place, take some of the focus (and pressure!) off of you, and to have someone who feels your pain at the end of a particularly difficult session. Having a friend or workmate join you in your personal training session can open up a whole new world of different partnered exercises for you to try out. Your personal trainer might even pit you against each other tapping into your natural sense of friendly competition! They say sharing is caring, and nothing will bring you closer than a shared personal training session. Watching your friend ace an exercise will make you push harder, racing against a mate will challenge you to go further and being able to swear together in-between circuits will definitely help you recover quicker! Those who sweat together, stick together we say! Imagine the pride you’ll feel when you hit your fitness goals, now imagine that pride doubled, tripled or even quadrupled! You’ll become serious #squadgoals once you’ve gone through some personal training and all your effort pays off. Compared to your weekly girls’ night or dinner out, we don’t personally think that personal training sessions are all that expensive! But we would say that, right? Bringing a friend (or friends) along for a personal training group session can cut those costs even further, maybe even to the cost of a London pint in some upmarket pubs! And before you ask, yes, Jays Way Personal Training does run group personal training sessions in London! We’ll tailor each session to your group’s needs and abilities. 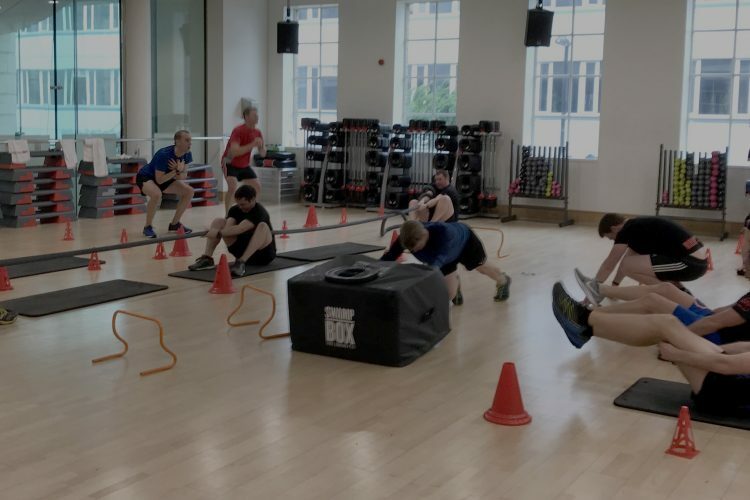 Apart from groups of friends or colleagues, we can also train families, so if you and your children are interested in personal training, let us know! Contact us to find out how group personal training can help you. What’s the deal with workplace wellness?